This narrative is based on the record of an electronic note taker (ENT) hired to provide deaf attendees with a rendering of what people said in real time. It is a phonetic account, first and foremost, taken down in the heat of the moment. An echo of what was said rather than a reflection of what might have been written before or since. Sandra Saer: My mother was extraordinary. One of her many sayings was: ‘Patience and perseverance made a bishop of His Reverence’. .I don’t have a lot to say. It has all been said. We have taken a dramatic step forward by what has been said and how we have been ignited by what has been said. That process will go on. I have another saying – We are not here for whom the bell tolls, we are here for whom the bell chimes. I would like to thank everybody here. We have lost some people. For coming here and taking part in an amazing day of talks and discussions and chats over meals. I would like to thank you all very much. I want to thank Paula and Natasha. These are our word people. They are notetakers and have done an amazing job. They will let Richard have what they have done. 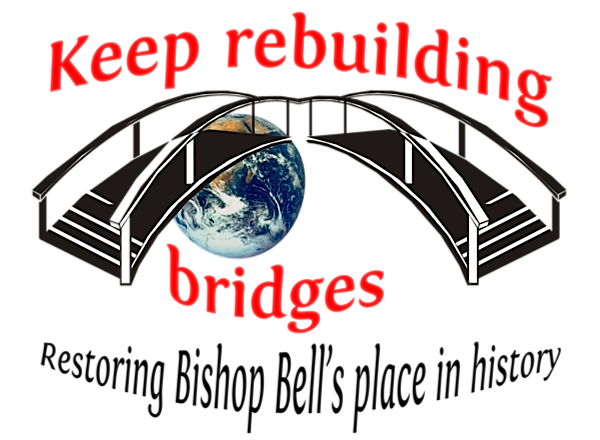 If you visit the rebuilding bridges website, you will find all the proceedings of this event. I think that will probably astonish you. You sometimes cannot take everything in. New speaker: What happens with those resolutions now? Sandra Saer: They go into the proceedings. Richard: I will open this to how to proceed next. I’m not sure. Gavin Ashenden: I’m a hard-bitten churchman. I don’t think much more can be achieved within the Church of England. Neither the Archbishop nor the Bishop of Chichester will go further than they have gone. This meeting might want to give some thought to whether we step up the campaign to make it more public. Charles Moore and Peter Hitchens are allies. There are procedural mechanisms. You can take a petition to Parliament if you can get 10,000 votes. I would like to suggest that we find some form of words that would attract wider support than just us. If we get help from Charles and Peter that will be in a public forum. I can’t think what else to do. New speaker: Peter Hitchens is working on a campaign to not legalise cannabis. Gavin Ashenden: I’m sure he can manage 2 causes at once. New speaker: What about renaming this house? Gavin Ashenden: Anglicans can threaten to stop paying money. If you have support in the congregation you can suggest you feel so strongly about this. They may suffer a legacy of deprivation. They will take that seriously. The other is you withdraw yourselves. Some people have done that. That don’t like that at all. They are both serious. You have to decide if you feel seriously about it. New speaker: These resolutions will be forwarded? Gavin Ashenden: If you don’t have a sanction, people will ignore you. Should they not have the impact you envisage you might want to consider something else. Richard: There is a practical way forward with the General Synod. The meeting later this month will be important. They need to see … I think we can do a lot in bringing the issue to people’s attention by going to the Synod’s representation. 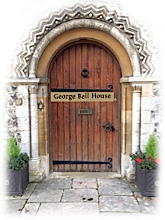 The 7th February is the deadline for people to make their proposals to the General Synod. I’m struggling to think of practical ways to do so. I sense if we want to do something now we need to really push our Synod representatives. Each one. I know you might have a different view Gavin. I’m trying to … it seems such a big thing to somehow change this whole attitude and bureaucracy in the Church of England. Martin Sewell and David Lamming have produced this proposal. They need to get 100 signatures and are struggling. They need it within a few weeks. If we can all write to our General Synod representatives that will get through somehow. Then more practical action might be able to take place. I did a petition and got 2,000 signatures. That is one reason I’m here. It played a part but didn’t make an iota of difference. It did some good. I think maybe the next step together is to go to the General Synod representatives. New speaker: Can we have the name and address of who to write to? Richard: Martin sent me the link to names. There are no addresses or emails. I’m thinking that maybe with the chronology I can provide you with the names, addresses and telephone numbers of the representatives. New speaker: Does that need to be done by 7th? Richard: As soon as possible. New speaker: Can it be care of or care of you? New speaker: The Synod is our first port of call. The other approach must be via the IICSA. They are going to readdress the issues. New speaker: May we thank our chairperson and to Richard for organising it. Father, we thank you for the gift of this day and bringing people together and the opportunity to speak out. We pray for wisdom, more courage and endurance. We ask your will be done and kingdom come. May the spirit be on your homes. Amen.